This aran-weight yarn is meticulously milled to have a thick and thin quality of a hand-spun yarn. 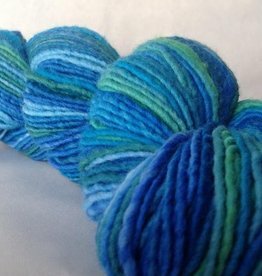 Made from 100% American wool, then dyed and milled on-site, this yarn is a stunner. 200yds per skein; Made in the USA from Sheep to Skein!